The things you tell yourself about your writing are not truth. They are stories. And the wonderful thing about stories, is that you can rewrite them. The entire reason I started Professor Is In in 2011 was to demystify the academy and what it takes to be successful in it. But, exposing the hidden truths of the job market is a very different task than helping individuals connect with their inner motivations. The former is mostly divorced from content: It’s focused on packaging, and academics’ perennially bad habits of (and instincts for) self-presentation. The latter, though, is about the work itself. And I, Karen, have not the slightest clue how to motivate anyone to do their own work. For me, the solution is, and always has been: “Just Write!” It’s the same bad advice that friends and advisors have been giving writers forever. It’s about as helpful as when my ex-husband used to tell me, in the face of my (then) crippling fear of flying, “Just calm down.” OBVIOUSLY, If I could calm down, I’d be calm. OBVIOUSLY If you could write, you’d write. As the TPII Interview Intervention guru, Kellee Weinhold talks to people to via video. As she coaches them through key questions for interviews, she is literally face to face with their vulnerabilities. With Imposter Syndrome, with feelings of scholarly inadequacy, and with real-life struggles to succeed. Three years ago, she made a proposal: If we are going to keep our commitment to pull back the curtain and expose the toxicity of the academy, we need to create a program that will help our clients with their struggles around productivity. We need to tell the truth: our entire academic system is constantly telling you that nothing is ever enough, that you should always be doing more. Maintaining a productive writing life in the face of that is exhausting. In other words, we need to tell clients who are struggling that there is nothing wrong with them. After two years of small groups and beta testers, Kellee launched her online coaching program Unstuck: The Art of Productivity. And lo, that program has changed thousands (actually thousands!) of lives. Unstuck is incredible, and Kellee is a genius. I am totally serious. 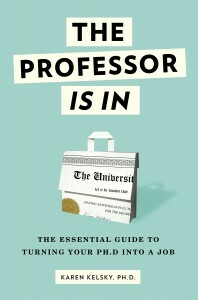 Her instincts for seeing just where things go wrong, and how to fix them, in the realm of academic productivity and motivation, are unparalleled. “I chose a project in July that was competing with two others and is still in progress, my book proposal. I learned from Kellee that it’s incredibly difficult and frustrating to try to keep three projects in the air at the same time. That said, I finished 2 of the 3, a book review and the critical introduction to a special issue of a journal I have co-edited. I’m really proud of the second. And did this all while adjusting to being the new chair of my department (44 faculty members total). In the seven months before I joined Unstuck, I fretted a lot. And didn’t submit anything other than a conference abstract or two. Because, I am one of the small number of people who basically just sit down and write. I decide to write a thing, I outline it, write it, edit it, and submit it, without much drama or delay. It’s possible some of your advisors are too. I know we do NOT HELP with your struggle. Because, we are the exception, not the norm. Unfortunately, we are also the dominant narrative, the toxic myth. The whole enterprise is built on the idea that “other people” are happily writing, submitting, and growing their CV with nary a self doubt or anxious thought. But here is the truth: the TRUTH is that most people in the academy struggle mightily to overcome the 1) emotional, 2) psychological, and 3) logistical barriers to a productive writing life. And while I may not be the target audience for Unstuck, I am a witness to its effectiveness for writers. People do the Unstuck program, and suddenly, they start writing. And they keep writing. And they open up documents that have been hidden away in a closet of shame for months or years. And they finish them. And press “submit.” And complete and submit their dissertations. And complete and submit their articles. And complete and submit their books. And ALL THIS WHILE KEEPING EVENINGS AND WEEKENDS FREE FOR FAMILY, FRIENDS, AND REST. This is not a joke. Unstuck means productivity with your evenings and weekends free. What I can say with complete confidence is Unstuck starts from the same core principle as all of The Professor Is In: telling the truth. In this case, the truth you learn to tell is about your own motivations and the stories that get in its way. Do you really want to write the thing? Why? Will you ever have the “5-hour blocks of unbroken writing time” that you continue to claim you will have (in the face of all evidence)? What unconscious negative thoughts do you associate with sitting down to write? What level of shame? Are you willing to let them go? How can you actually prioritize writing instead of just say you do? Where have you lied to yourself about your own productivity over the years, and how little do you now trust yourself? Telling the truth about these things is transformative. So transformative that one participant wrote a whole blog post about it! “In the last couple of months, I completed my book revisions and wrote two articles. And submitted all of them. And as I wrote, I became happier with what I was writing and could relax and enjoy the meandering process of deep thinking through writing that inevitably takes me to unexpected places. And also, as I wrote, particularly through the book revisions in my response to the readers’ comments, I found a stronger and more confident voice. I learnt a whole bunch of ways to keep the feelings of overwhelm under control, which feels particularly timely, as I’m on my first year of a full-time job. And that is perhaps the most important gift of this course: Unstuck provides a supportive, caring community; so instead of the isolation and despondency that characterizes so much of academic life, participants are surrounded by fellow academics at every rank who are facing similar challenges AND encouraging one another through the process. That community is particularly valuable for those who struggle to balance their writing with family stressors, excessive service, and a deep-seated inability to say no. To my eye, watching all this from the sidelines, Unstuck is just very, very… human, and perfectly reflects its creator: warm, supportive, creative, and responsive. 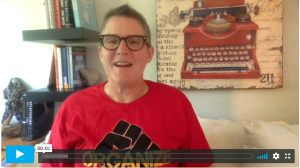 The Unstuck program is a series of 12 modules of 5 units each (60 in total) that use videos, small targeted assignments, worksheets, and a variety of provocations and inspirations – along with membership in a Facebook community of supportive fellow-travelers – to guide you in confronting your own fears about and barriers to writing. Through these means, Unstuck helps you identify your places of blockage honestly, and it shows your how to lay down new cognitive “tracks” related to writing. It helps you set realistic, attainable goals, and acknowledge and celebrate small achievements. And it gives you solutions to the inevitable setbacks and anxieties. You can also check out the free webinar Kellee did last week, teaching some of the key strategies of Unstuck. So, if you’re ready to face your writing demons, and jump start your writing life, please consider signing up for Unstuck. It’s a very good thing.